This is a great way to keep some live plants in your home throughout the cold Winter months. This vertical wall garden box frames your plants like they are a work of art. 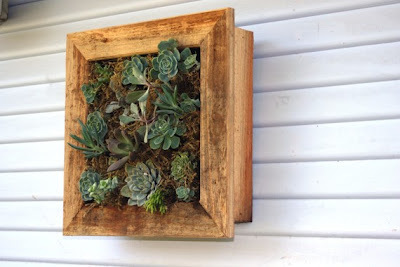 Box comes with 20-40 succulent plants of various shapes, sizes and textures. Find it at Sea Side Garden.